Clear, UV stable, cures bone dry. This capping coat has excellent gloss and has superior UV protection and greater impact resistance than regular polyester gloss. It is “dual-curable” i.e. it can be catalyzed with either MEKP or UV irradiation or both. 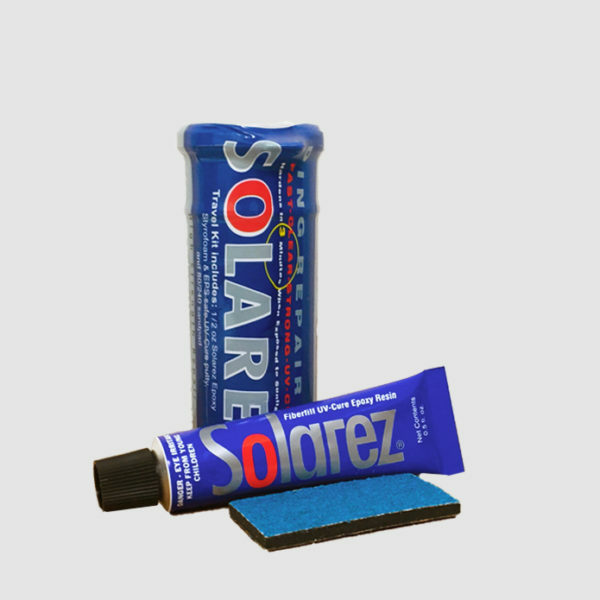 This resin is modified to allow it to be brushed on in thicker coatings without sagging or running. 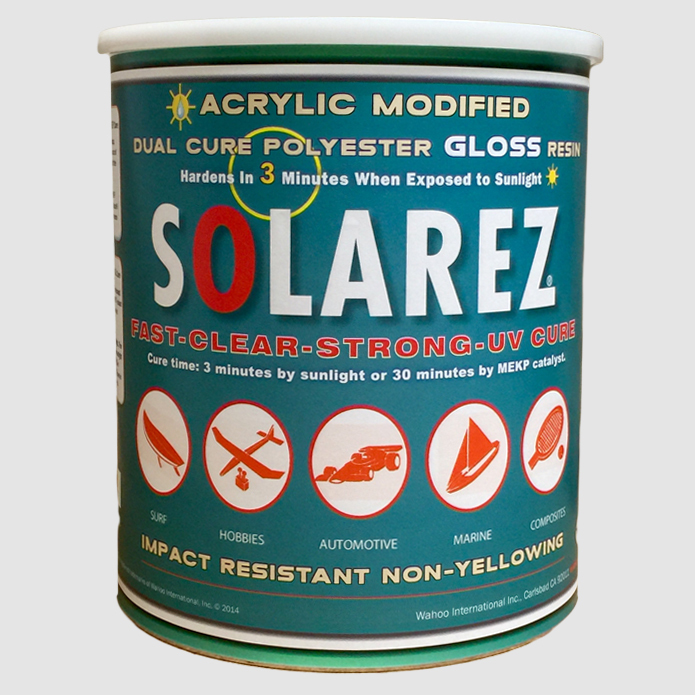 It also has a surfacing agent added to assure a bone-dry surface cure. No mixing, no waste, lower odor, and cures in minutes! It goes on a little milky but drys clear. 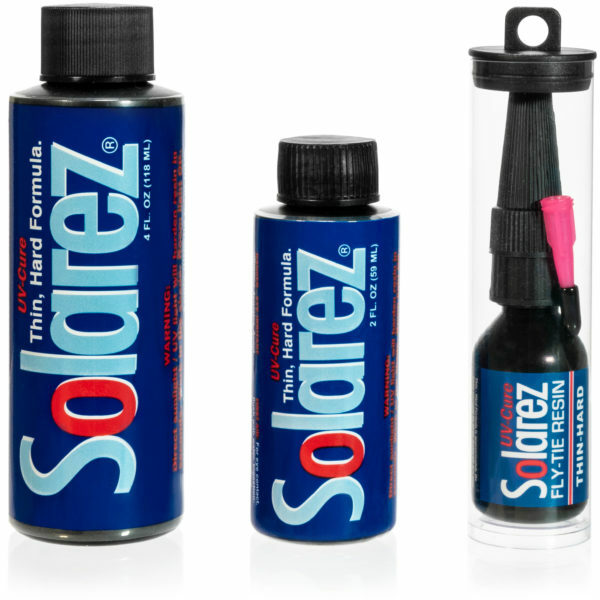 No mixing, mild smell, little curing heat even with thick coats and with UV light cures hard in minutes. The perfect finish for guitars. Hard like polyester, easy to sand like acrylic. This is even flexible enough for acoustics. No cracking or crazing. Very scratch resistant. The odor is there, but not nearly as bad as standard polyester. It goes away as soon as it’s cured.